If you are considering expanding your line, outsourcing your in-house gel soap production, or are ready to GO ORGANIC! we would be happy to work with you to make your own all natural body wash or organic shower gel. Please see our Private Label FAQ page for more information about personal care products and more. 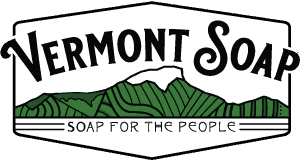 Vermont Soap has several 95% and “Made With” certified organic GEL bases for you to choose from. We can package your private label organic shower gel soap in a variety of sizes. Our 1oz, 8oz, 16oz and gallon bottles are always in stock and ready to fill. Please see our Private Label FAQ page for more information or contact one of our private label specialists.